What percentage of your job is "robotizable"? 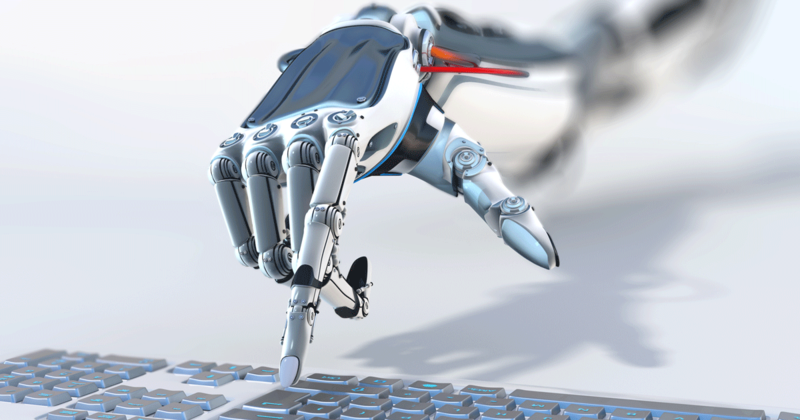 BlogHome » What percentage of your job is “robotizable”? This week, Marketplace started a great series on the ways that robots and automation are rapidly changing the jobs that are available to humans. This reporting follows on the heels of a McKinsey report that surprised many people with its forecast of what jobs are susceptible to automation. Turns out, robots are going to be more adept at a wider variety of jobs than people expected, even a few years ago. The list of jobs considered “100% automatable” includes masons, ophthalmic lab technicians, and medical appliance technicians—all jobs that, if you’d asked, I would have guessed need at least a little bit of a human touch. Nope. What makes a job automatable? The report assesses automatability by looking at the percentage of an occupation that is spent doing data collecting and processing and routine, predictable physical work (highly automatable) vs. unpredictable physical work and interacting with stakeholders (less automatable) vs. applying expertise and managing others (hard to automate). While there are exceptions, the majority of jobs that are not automatable or difficult to automate are those that require the most “human” skills—empathizing and communicating with other humans, exercising creativity, and thinking critically in ways computers can’t. Artists, astronomers, and historians are all safe from automation. Marketplace Morning Host David Brancaccio and producer Katie Long drove through the Midwest looking for people in occupations that are difficult to automate, and to think about how to educate and train people for robot-proof jobs. That’s something that we at MFI have been thinking about for a while (search “automation” in our blog feed, or take a look through our posts on the skills that people need in the future, especially the “6 Cs” developed by Kathryn Hirsch-Pasek and Roberta Michnick Golinkoff of creative innovation, communication, collaboration, critical thinking, content, and confidence). And it’s why we think our education system needs a major overhaul, especially here in Michigan. In the Marketplace podcast, you can listen to Linda Spinelli talk about her HR job, where she has to gently probe and understand human behavior in complex scenarios. The job has rote elements but requires nuanced human interaction. Or a police officer in Ohio who describes the way he has to use his judgment to assess highly variable interactions with members of the community. This ”robotization” of jobs is already well upon us. Our state is vulnerable to ongoing job loss in many sectors, while low-skilled “replacement” jobs are generally low-paid. With low college attainment rates—a college degree is a pretty good indicator that someone has non-automatable skills—we are going to continue to struggle, as a state, until we widely enhance the skills that we teach in our schools, and how ready our kids are for college. It’s worth taking a listen to the Marketplace podcast to grow your understanding of the types of skills and jobs that we need our kids to be prepared for. They might be very different from what you think. You can take a quiz about automation and find the Marketplace podcasts (there is one now, and they plan to post three more, one per week) here.